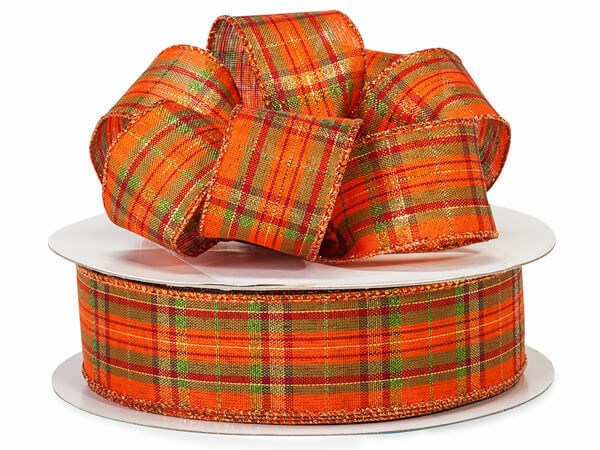 Our fall ribbon selection include plaid designs, striped ribbon and solid colors. These ribbons are perfect for any fall occasion including Thanksgiving hostess gifts and Halloween! Each ribbon has a wired edge.